The reason for most joint replacements is the severe pain from a condition known as osteoarthritis. Osteoarthritis develops when cartilage, the cushion in the joint, wears away. This can eventually result in bones rubbing against one another, leading to pain and stiffness. Sometimes the pain will improve with nonsurgical treatments such as anti-inflammatory medications, physical therapy, and joint injections. When it lingers despite those treatments, joint replacement may be an option. Total joint replacement has been traditionally considered an inpatient surgical procedure that requires several days of hospitalization. Given concerns over postoperative pain control, limited mobility after surgery, and perioperative complications, it was considered the best practice. However, over the past decade we have been able to use less invasive surgical techniques, improve post-surgical protocols, and leverage different anesthesia options. As a result, we have seen improved pain control in our patients. This has allowed us to be more aggressive with rehabilitation, helping our patients become mobile sooner after surgery than ever before. With these advances, our patients are experiencing more rapid recovery and shorter hospital stays following joint replacement surgery. A short hospital stay for total joint replacement is defined as a 23-hour hospitalization. Recent studies have also illustrated that these shorter hospitalizations have not resulted in increased complications after surgery. If you are considering total joint replacement, you may be wondering what to expect. While each patient is unique, the overall experience is generally consistent. You will be allowed to place as much weight as you can tolerate on your leg immediately after surgery. Another person should always assist you when you are out of bed to prevent falls. You can expect physical therapy twice per day while in the hospital. If your surgery is scheduled for later in the day, you may only have one session on the day of surgery. Physical therapy will focus on range of motion, strengthening, and walking. You must demonstrate that you can walk with minimal assistance and navigate stairs in a safe manner before you are discharged. While you are in the hospital, a case manager will coordinate home physical therapy and visiting nursing so that your rehabilitation continues after you arrive home. Once you are medically stable and have reached the appropriate functional milestones with physical therapy, you will be discharged from the hospital. It is important to recognize that not all patients are candidates for short hospital stays after total joint replacement. At your initial pre-admission testing evaluation, you will be screened with what is known as the Risk Assessment and Prediction Tool (RAPT). The RAPT is a survey of six questions that assess age, gender, functional abilities, and social support. The tool, which uses a 12-point scale, will help us determine if you are a good candidate for a short hospital stay following your joint replacement surgery. A score of 10 or more on the RAPT qualifies for a short hospital stay. Patients with scores of 9 or less generally benefit from a more traditional length hospital stay of greater than 24 hours. Of note, the RAPT has been consistently shown to predict discharge disposition accurately in recent orthopedic research. Before considering joint replacement, it is important to understand what the procedure can and cannot do. More than 90% of people who have joint replacements report a dramatic reduction in joint pain and a significant improvement in the ability to perform common activities of daily living. Joint replacement, however, will not allow you to do more than you could before you developed arthritis. Remember, you do not have to live with joint pain. 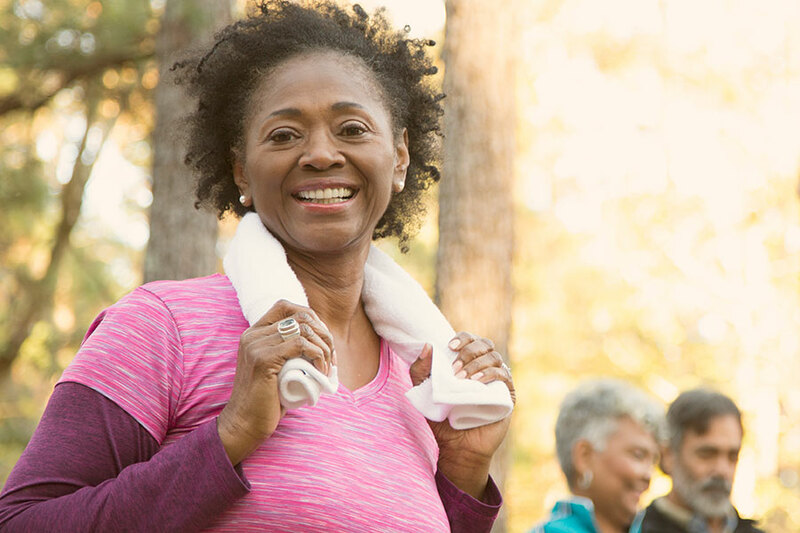 If you experience debilitating pain despite nonsurgical treatment for osteoarthritis, ask your medical provider if joint replacement is a reasonable option for you. You can learn more about our Total Joint Center on our website. Dr. Roald Llado is an orthopedic surgeon at the Lifespan Orthopedics Institute and the Total Joint Center. His specialty area is adult reconstruction, including minimally invasive primary and complex hip and knee replacement, reconstruction of fractures around prosthetic hip and knee implants and management of general orthopedic conditions and fractures.